I’ve heard several people refer to “the high needs puzzle”, and it’s a term I’m growing to use and love more and more. While any of these can certainly be the cause of a baby’s fussiness, more often than not, the answer isn’t quite this simple. For instance, many parents of fussy babies pursue lip tie removal, meds for suspected reflux or a change to soy or hypoallergenic formula. Unfortunately, most of these parents find that while fussiness may be reduced once they treat for these possibilities, their little one is still not ‘easy’. Here’s why: If a baby is fussy or high need due to temperament, they are often extra-sensitive and extra-vocal about even mild discomforts. They may fuss and cry because of mild reflux (which all babies have to a greater or lesser extent), but they may also be crying because the room is too cold, or because they aren’t getting enough stimulation, or because their diaper’s a little too tight, or because you looked at him funny…. (you get my point). For this reason, removing something that’s annoying or that causes discomfort will only help to a point. Yes, it will make your child more comfortable and take away some of what’s bothering him or her. Unfortunately, there often isn’t one “magic” solution to cure the fussiness. That doesn’t stop us from trying though! 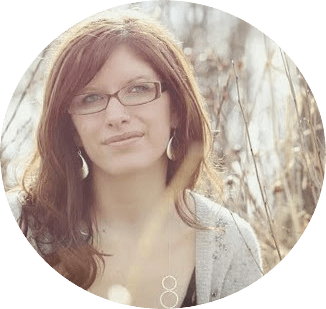 Having a high need baby can leave us feeling powerless and insecure about our parenting. And because of this, we feel the need to react with broad strokes. We want so badly to help solve the puzzle of this high needs behaviour, and will try whatever we can. What are the pieces of the high need puzzle? Think of the facets of a diamond. The diamond is a beautiful stone; it has many facets to it. But it’s still a piece of carbon. You have temperament, crying, fussiness, wakefulness, and you have not sleeping well. These are just different ways of describing the colicky baby. They are all intertwined together, but they’re still a colicky baby. In my experience working with high need babies and their parents, I think this description is very fitting, even as our colicky of fussy babies get older. It’s like an equation that determines how fussy your baby is going to be. Part of the equation is temperament, which is ultimately the personality traits you’re going to see in your child as they get older. Part of it is what we call state control – which is how well the baby is able to keep their balance. When they cry, how well can they calm themselves down? When they’re asleep, can they stay asleep? Those things mixed together with the amount of stimulation in the environment….When you add up that formula of temperament, state control, and balance of stimuli, that equals how fussy your baby is going to be. Physical or medical issues: Reflux, Lip/tongue tie, food allergy or sensitivity. In my experience, these aren’t usually part of the equation, but it’s always possible. Sleep: A chronically overtired baby will be fussier and will have a more difficult time catching up on sleep. Sometimes these babies stop exhibiting high need behaviours once they’re getting enough sleep. Temperament: This is the personality and traits our baby is born with. Research shows that up to 10% of babies are born with a “difficult temperament”. State control: Essentially a baby’s ability to self-regulate sleep (go from awake to asleep on their own). This is actually a subcomponent of the temperament piece, as we have no control over it. Some babies are great at regulating themselves from day 1, others aren’t. This doesn’t mean they will never be able to self-regulate, however it does mean they’ll need some extra help to learn the necessary skills. Goodness of fit: Whether we like it or not, our parenting does come into play, and can be a piece of the high need puzzle. High need babies may need us to have a different parenting style than what we would like. Sometimes this can mean being more flexible, or more firm, or more adaptive to our child’s needs. Achieving a parenting style consistent with our child’s temperament and needs can be difficult, particularly when your child has a different temperament than you. For instance, an introverted parent may have a difficult time making sure their extroverted child has their daily social needs met (and vice versa). To help your high need baby or toddler thrive, it’s important both to accept your child for who he or she is, while also maintaining and respecting your own limitations. It may mean trying new strategies or routines for the sake of your baby and the rest of your family. It may mean stepping outside your comfort zone and adopting a parenting style you never planned on using. The model of “puzzle pieces” I mentioned above is a work-in-progress. 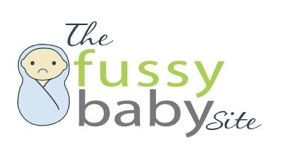 These are some possible components that determine how fussy or high need a baby is going to be, but it’s entirely possible there are other pieces that still need to be added. Spirited kids continually challenge us both as people and as parents! 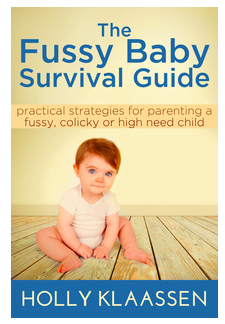 If you’re looking for more guidance with parenting your spirited or high need child, you may be interested in my eBook, The Fussy Baby Survival Guide: Practical Strategies For Parenting Fussy, Colicky or High Need Kids, 0-5.